What Are Automatic Usage Updates? In order to continue making FinalBuilder better, we're interested to know what actions users are working with the most. • The version of FinalBuilder that you are using. • The names (and total numbers) of actions which were added to projects. 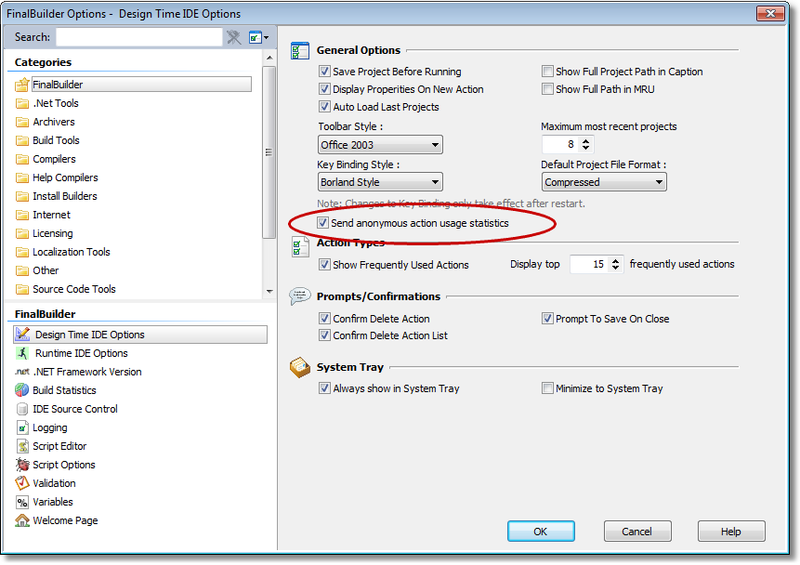 If an error occurs, a dialog will be displayed. Update submission will then be re-attempted the next time FinalBuilder is launched. If you are consistently receiving errors about failed submissions, then you may need to consider disabling the automatic usage updates feature.